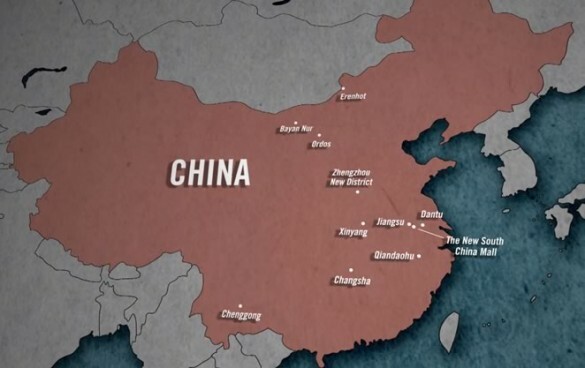 You’ve heard about the so-called Chinese Ghost Cities. Puffy-faced finance consultants on CNN call them ‘a disaster waiting to happen’, or ‘the inevitable result of central planning’ (all hail the Free Market!) Money sinks for corrupt officials, a side-effect of the way in which China calculates its GDP. China’s coastline with a +60m rise in sea level. 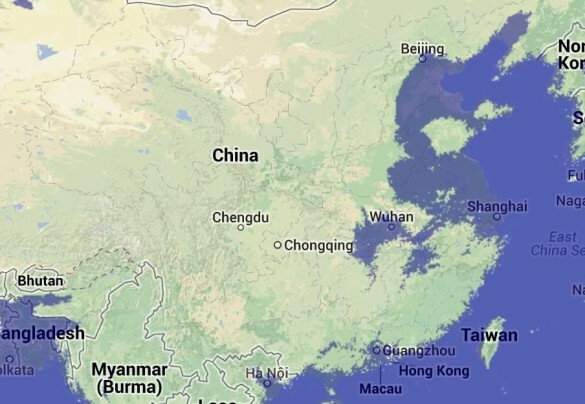 Here’s a map of what China’s coastline will look like when the polar ice-caps have melted, which without some supervillain-level geo-intervention is going to happen sooner than anyone would like. Notice anything about those two maps?